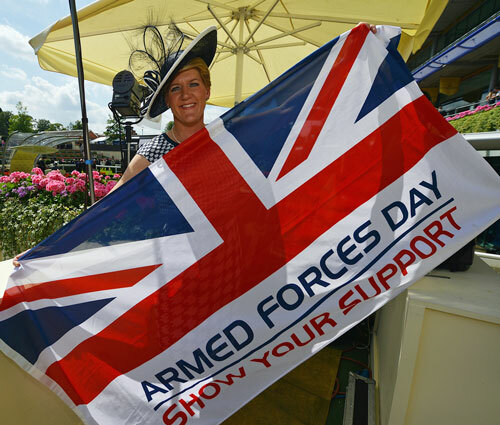 ASCOT Racecourse is offering 1,500 two-for-one grandstand admission tickets to Armed Forces personnel and their families and MOD Civil Servants at Royal Ascot on Friday 19 June. As well as featuring a host of top races, the day is dedicated to raising funds in aid of ABF The Soldiers’ Charity, the Royal Navy & Royal Marines Charity, and the RAF Benevolent Fund. An iconic summer highlight of the British sporting and social calendar, Royal Ascot is arguably the world’s most famous race meeting. In 2015 it opens its gates on Tuesday 16 June for five days of world-class racing, pageantry, high fashion and fine dining. First organised in 1711 and attended by British Monarchs ever since, each day of Royal Ascot traditionally begins with the Royal Procession in which the Queen along with her family and guests parade in front of the grandstands in their horse-drawn carriages. Off the track, the meeting will draw eyes from the world of fashion. The hats, shoes and dresses at Royal Ascot are as colourful and creative as the jockeys’ silks – wherever you turn there is an outfit to admire. To take advantage of this offer, visit ascot.co.uk or call 0844 346 3000 quoting the exclusive promotion code that your soldier can access via the MOD intranet. Armed Forces, MOD Civil Service ID or a Defence Discount Card will be required by one of the ticket holders on entry. Groups of families can book through their Unit Welfare Office.